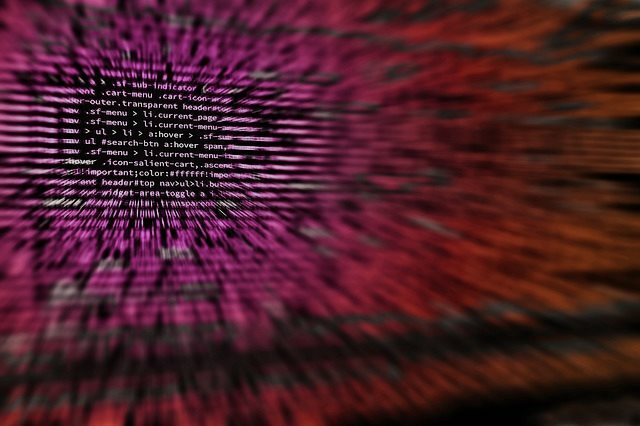 This article has been created in order to explain what is the SocketPlayer Trojan Trojan and how to remove this malware completely from your computer. The SocketPlayer Trojan is a newly discovered virus that is incorporated into two variants. An extensive code analysis reveals that it does include advanced components capable of causing extensive damage to the infected hosts. Read more about it in our removal guide. User Experience Join Our Forum to Discuss SocketPlayer. The SocketPlayer Trojan is being distributed in a small-sized attacks which doesn’t allow the researchers to identify the main infections. method. Many similar threats use such cases in their test releases. This gives us a reason to believe that the criminals behind it may use resort into using the most popular delivery tactics. Software Installers — The hackers can embed the virus code into application installers of different types. This is done by taking the legitimate installer from the vendor’s official site and modifying it with the associated virus code. Documents — The SocketPlayer Trojan can be embedded in document files of various types: text, spreadsheets, presentations and etc. Once the victims open the relevant files they will be greeted by a notification prompt asking them to enable the built-in scripts (macros). If this is done the associated payload trigger function will be executed. This leads to the virus infection. The hackers may also create counterfeit download pages that are modeled after the templates used by popular Internet services. Another strategy is to create malicious scripts such as pop-ups,banners, in-line hyperlinks, redirects and etc. The SocketPlayer Trojan has been analyzed to include several modules that are launched after the virus infections has infected the machines. It institutes itself as a persistent threat which makes it very hard to remove using manual methods. Several techniques are used at once in order to produce an effective installation. It renames itself as a music player or another user-installed applications and installs itself in a system folder. The malware engine also creates Windows registry entries which made it automatically start each time the computer boots. The other component that it has been found to execute is the stealth protection module. It scans the system for any security software that can interfere with the malware’s correct execution. Variant 1 — The first discovery of this version was submitted in the end of March 2018. It appears that this particular threat is to be delivered using phishing messages. Variant 2 — This version differs from the former by using a slightly different infection behavior. It also communicates with the hacker-controlled severs using the associated module. fdrive — Iterates through all drives that are ready and returns the name, the total size and again, the name. If a drive isn’t ready, only the name is returned. fdir — If the specified directory isn’t on the system, false is returned. Otherwise the path of the subdirectories, the creation date of those, all files within the current directory, the file size and the creation date of those is returned. mfdir — Returns the filename, file size, creation time and the full name of all the extensions that were specified recursively using the sndflesi method. f1 — If the specified parameter is longer than 3 and contains “:\\” it will return “f1|drive”. Otherwise it will return the name of the parent directory. strtsgnl — Returns the uid of the current running program. fdowl — Using the sndfle function, a file is uploaded to the c2 using the path /cl/upld/. fexc — Executes a file if it exists. fdel — fdel Deletes a directory or file if it exists. procs — Returns information about currently running processes like the process name, whether the process responds, the window title and the process id. prockill — Kills a running process by id. After that the same information as in procs is returned(to check if the process is terminated). Gtscreen — A screenshot is made and returned. upld — A specified file from the /uploads/ folder of the c2 is downloaded and stored to the temporary directory. After that it’s executed. upldex — Similar to upld but with specified location in the temporary directory and an autostart entry for it as well. kylgs — Reads the contents of the file “klsetup.txt” in the temporary directory and returns them. destt — Kills the active socket connection, removes the autostart key,removes the created file and the path from the initial routine andexits itself. As a consequence we expect that future versions of the SocketPlayer Trojan will include an extensive keylogger and backdoor component. It is also expected that a much larger infection camapign will be executed by the criminals. The full report about the Socket Player Trojan can be downloaded from G Data Software. In order to fully get rid of this Trojan, we advise you to follow the removal instructions underneath this article. They are made so that they help you to isolate and then delete the SocketPlayer Trojan Trojan either manually or automatically. If manual removal represents difficulty for you, experts always advise to perform the removal automatically by running an anti-malware scan via specific software on your PC. Such anti-malware program aims to make sure that the SocketPlayer Trojan is fully gone and your Windows OS stays safe against any future malware infections. Threats such as SocketPlayer may be persistent. They tend to re-appear if not fully deleted. A malware removal tool like Combo Cleaner will help you to remove malicious programs, saving you the time and the struggle of tracking down numerous malicious files. Threats such as SocketPlayer may be persistent on your system. They tend to re-appear if not fully deleted. A malware removal tool like SpyHunter will help you to remove malicious programs, saving you the time and the struggle of tracking down numerous malicious files. Note! Your computer system may be affected by SocketPlayer and other threats. SpyHunter is a powerful malware removal tool designed to help users with in-depth system security analysis, detection and removal of threats such as SocketPlayer. 1. Install SpyHunter to scan for SocketPlayer and remove them. 2. Scan with SpyHunter, Detect and Remove SocketPlayer. Ransomware infections and SocketPlayer aim to encrypt your files using an encryption algorithm which may be very difficult to decrypt. This is why we have suggested several alternative methods that may help you go around direct decryption and try to restore your files. Bear in mind that these methods may not be 100% effective but may also help you a little or a lot in different situations. Note! Your computer system may be affected by SocketPlayer or other threats. Remove SocketPlayer by cleaning your Browser and Registry. Fix registry entries created by SocketPlayer on your PC. Combo Cleaner is a powerful malware removal tool designed to help users with in-depth system security analysis, detection and removal of threats such as SocketPlayer. Step 5: In the Applications menu, look for any suspicious app or an app with a name, similar or identical to SocketPlayer. If you find it, right-click on the app and select “Move to Trash”. Step 6: Select Accounts, after which click on the Login Items preference. Your Mac will then show you a list of items that start automatically when you log in. Look for any suspicious apps identical or similar to SocketPlayer. Check the app you want to stop from running automatically and then select on the Minus (“–“) icon to hide it. Remove SocketPlayer – related extensions from your Mac’s browsers. A pop-up window will appear asking for confirmation to uninstall the extension. Select ‘Uninstall’ again, and the SocketPlayer will be removed. When you are facing problems on your Mac as a result of unwanted scripts and programs such as SocketPlayer, the recommended way of eliminating the threat is by using an anti-malware program. Combo Cleaner offers advanced security features along with other modules that will improve your Mac’s security and protect it in the future. Hey !, I found this information for you: "SocketPlayer Trojan Removal — Restore Your PC From Infections". Here is the website link: https://sensorstechforum.com/socketplayer-trojan-removal-restore-pc-infections/. Thank you.